A special meeting took place on November 6, between Delaware's two most recognized bicycle advocacy organizations; the Delaware Bicycle Council and Bike Delaware. 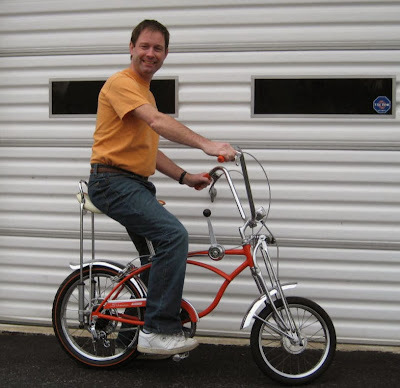 There have been few opportunities for them to work together, given very different views as to what constitutes bike-friendliness. 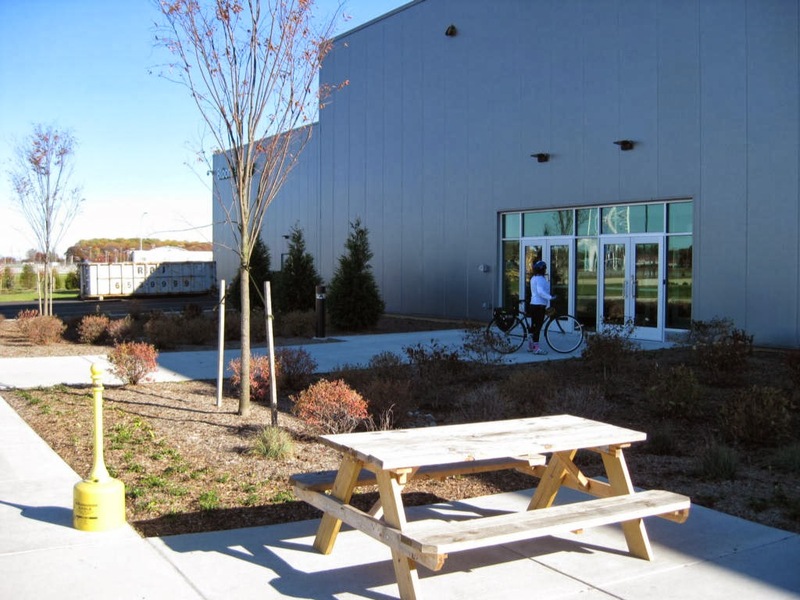 Bike Delaware believes that segregated facilities deserve most of our focus, while the Delaware Bicycle Council takes the holistic, all-inclusive approach as seen in the League of American Bicyclists 5 Es. 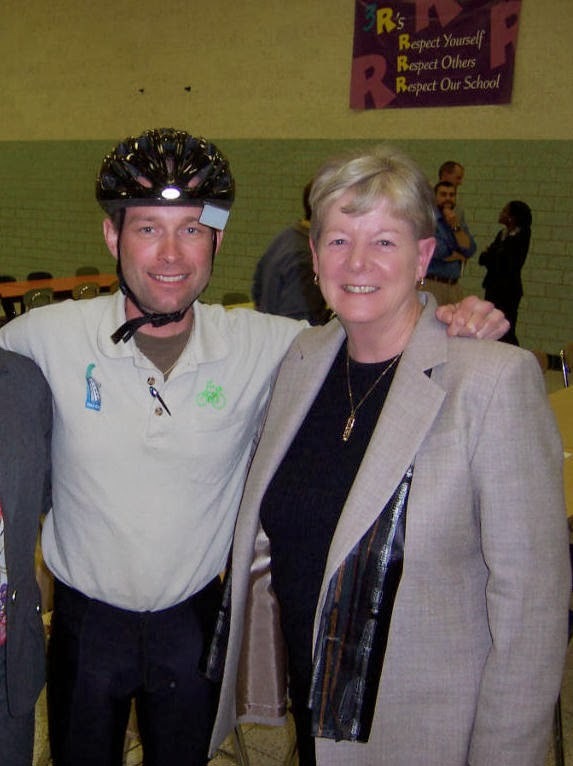 Listen to the meeting in mp3, or visit the Delaware Bicycle Council's webpage for complete meeting information. 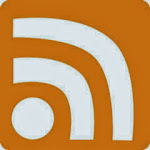 Anyone interested in advocacy should listen, because it truly highlights the differences between the two organizations. 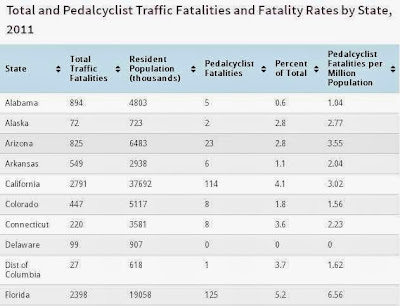 Bike Delaware's absence on Funding Pools, and how they undermined the wording of a road safety PSA is very telling. All told, there is good and bad - but hopefully this meeting will bring forth a new focus on cooperation, and a more well rounded approach to bicycle advocacy. 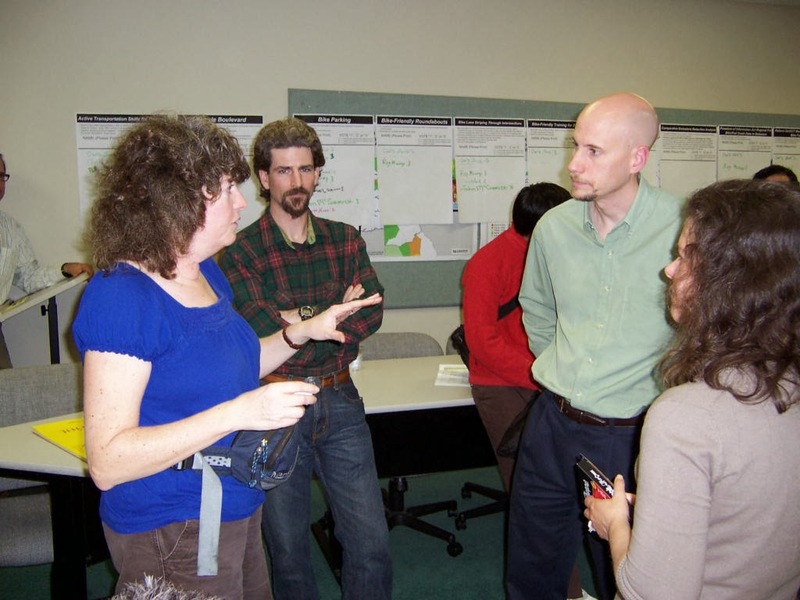 Amy Wilburn of the Delaware Bicycle Council (L), and James Wilson, Executive Director of Bike Delaware (R) discuss their differences during the 2011 Goals Meeting. From Boston.com -- A new set of street markings on Allston’s Brighton Avenue aren’t simply an errant set of dashes installed by city staff with extra paint - they’re part of a national experiment to test innovative bike facilities. 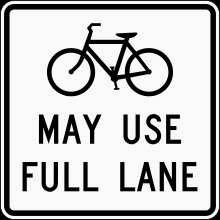 Sharrows, or shared lane markings, indicate that cars must share the lane with cyclists. Transportation officials use them on roads when there’s no space, money, or political will to section off pavement for bike lanes. 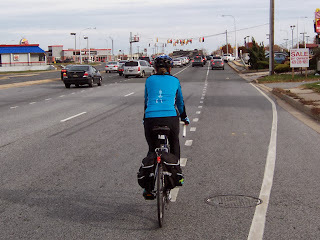 For that reason, the sharrows are often viewed in bike circles as low-hanging fruit: The wimpiest, least ambitious method of asserting space for people who ride bikes. Poster's note: Sharrows and "Bicycles May Use Full Lane" signs have enhanced safety on Newark's Main Street. 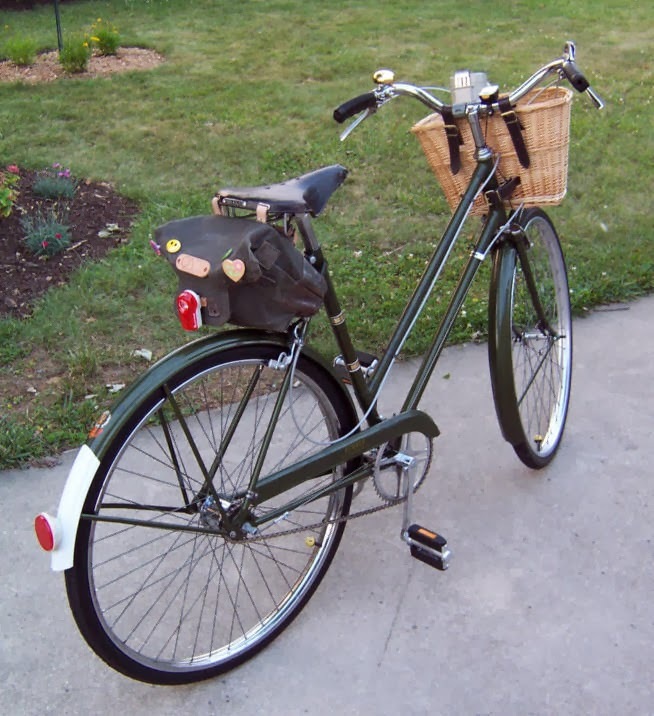 However, according to comments on the Newark Bike Project's facebook page, bicyclists are still being harassed by motorists while legitimately taking the lane. Perhaps a more aggressive approach, and/or better enforcement is needed? Which Mayoral Candidate will best promote active transportation in Newark? There are many issues at hand in Newark's upcoming Mayoral election, but getting more people on bikes is key to addressing lots of them. 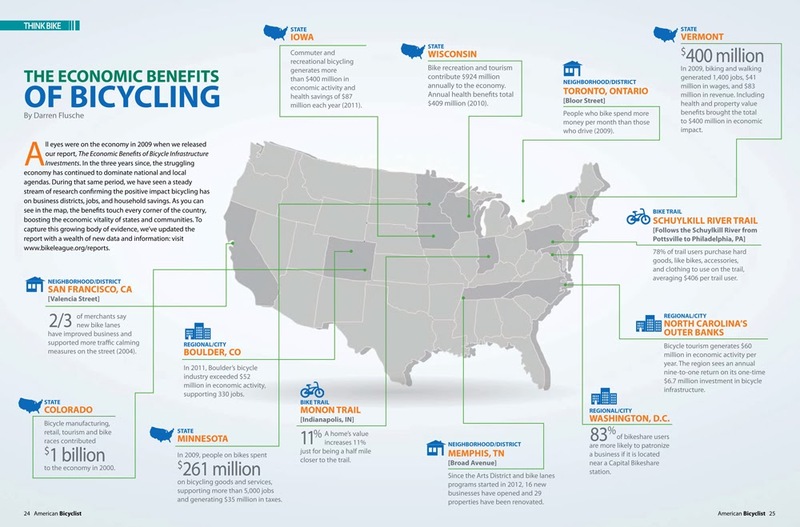 These include a more vibrant local economy, less traffic, less noise, better health, more parking for those who truly need it, and a whole host of other benefits that come with reduced auto dependency. The ideal candidate will think creatively in terms of reducing congestion downtown, not encouraging more of it as some would suggest - and even think is desirable. For example, if the City surveyed motorists parking on Main Street, they would find a large percentage that live within walking or biking distance. Converting just some of these trips would have a very positive impact on our quality of life downtown. 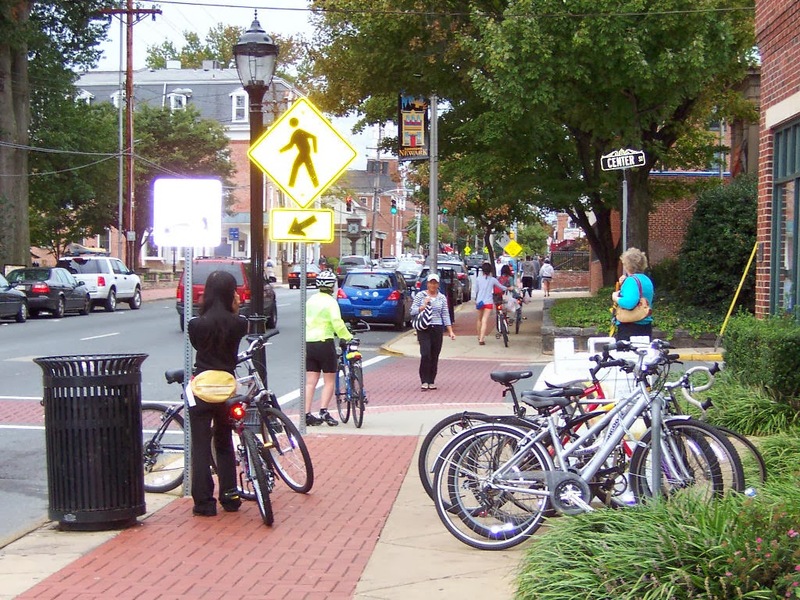 The City should repair its apparently damaged relationship with the University of Delaware, and work jointly to offer serious car-free or car-lite incentives to students who live within a mile of Main Street. Car sharing services could also be offered. 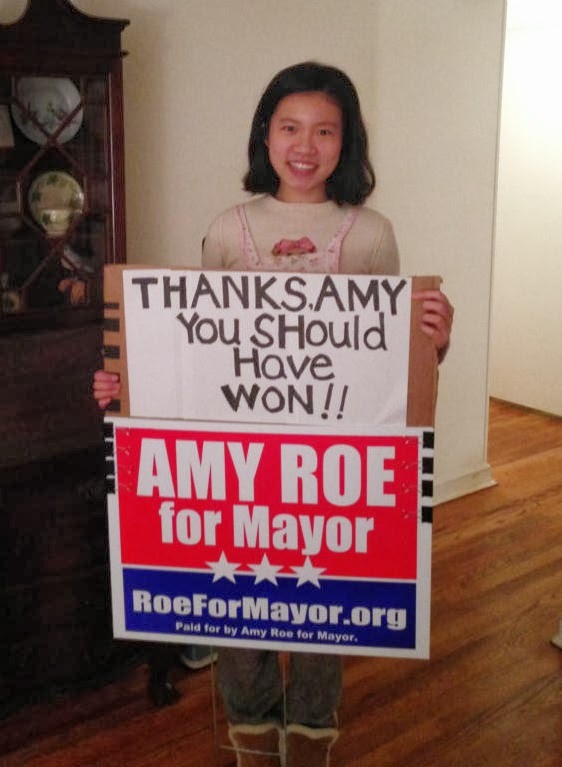 Ideas like these, and a strong backing of Newark's Bicycle and Transportation Plan, is smart thinking - and exactly why Delaware Bikes has endorsed Amy Roe for Mayor. 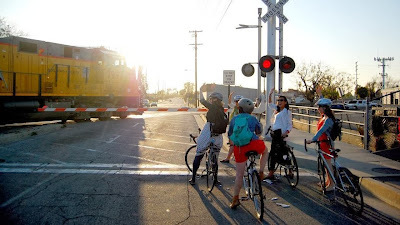 Here are some statements from Newark's Mayoral candidates, from both Bike Delaware and Delaware Online surveys, that might indicate how serious they are about bicycling and active transportation. "Taking a 1960’s traffic infrastructure and reshaping in into something that is capable of handling our actual present and future needs." Making downtown Newark a more parking friendly place." "Adding more downtown Parking. 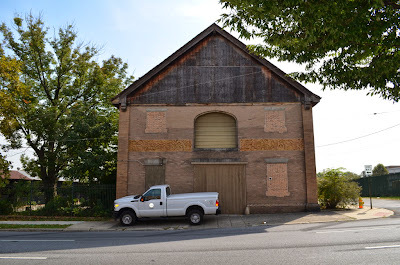 To help the University show its good will toward the residents of Newark and since it basically surrounds Main Street stopping the possibility of us adding anymore ground level parking." Noted that Newark Natural Foods donated $2,485 to the Newark Bike Project. "[B]ad knees prevent me from biking. 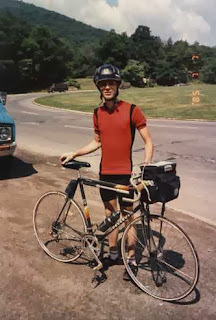 But I do support your [bicycling] efforts due to the large college environment." I am NOT in FAVOR of building a Wawa on this corner." 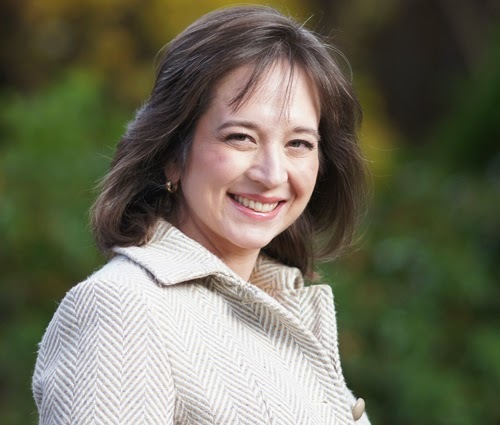 "As mayor I will ensure that we proactively address both infrastructure challenges - such as storm water management, traffic and transportation - and land use, including student housing." 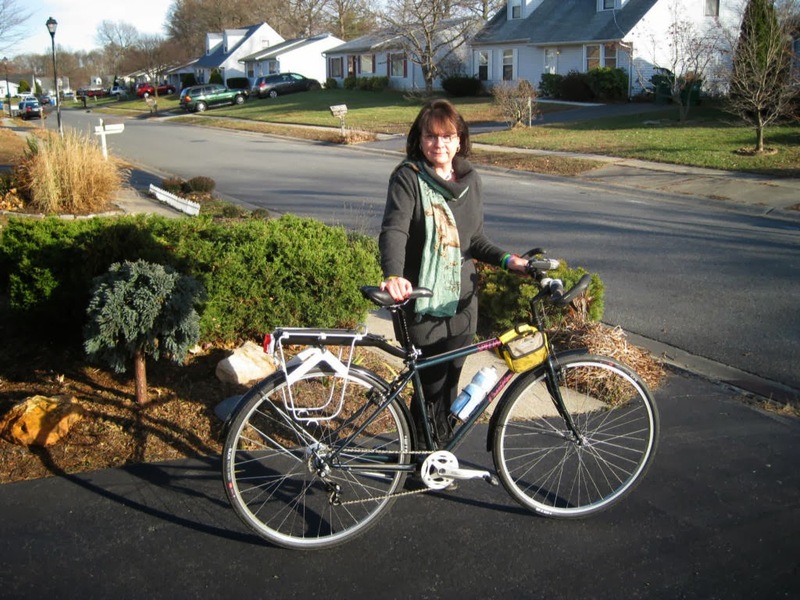 "The implementation of Newark’s Bicycle Plan as part of a comprehensive transportation plan is a priority for me. I have been a bicyclist in Newark since my youth and I support bicycling for transportation and recreation. 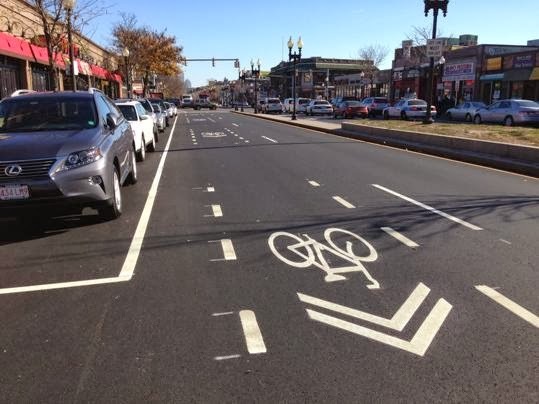 The sharrows on Main Street have greatly improved bicycle safety and I would like to see those expanded throughout Newark, as well as a cycle track on Delaware Avenue to improve safety and the bikability of our town. 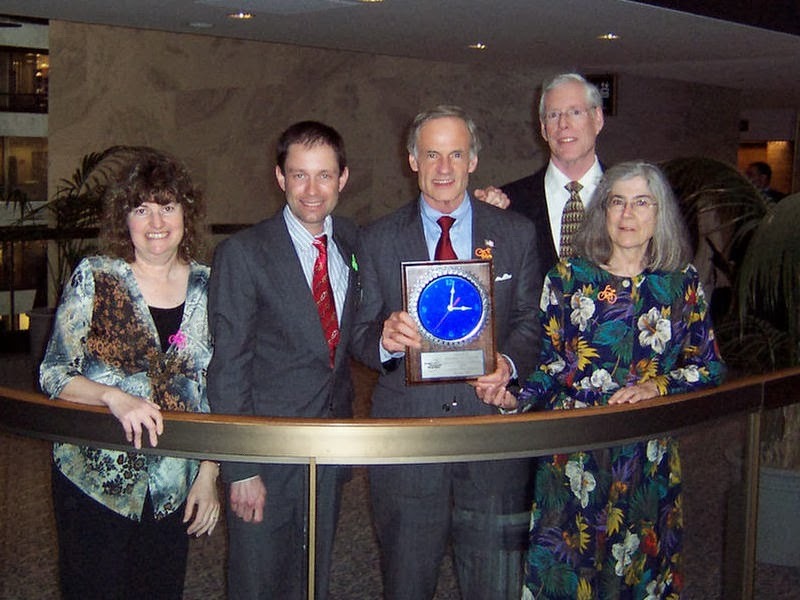 Newark’s Bicycle Committee is an important group that provides leadership and expertise on bicycle issues. I would like this group to receive the respect that it deserves by raising it to the level of a city committee. This would eliminate ambiguity in reporting and would enable plans developed by the Bicycle Committee to be better integrated into discussions by our City Council and implemented by staff for generations to come. 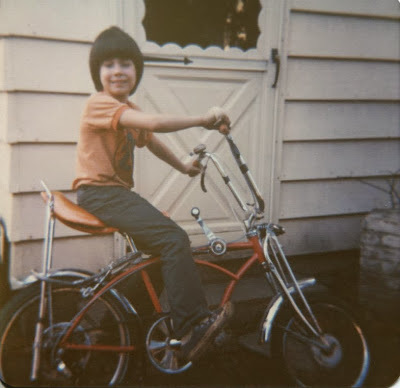 I am committed to improving access to affordable bicycles and bicycle repair, and am one of the nine founders of the Newark Bike Project. I believe we should all share the street, and I support the integration of complete streets in city planning. Bicycling has been, and will continue to be, important to Newarkers." "I oppose the development of new gas pumps on South Main Street." "Overall quality of life is something that we as a City need to address - including environmental matters, parking and traffic, and helping the homeless." "Traffic and Parking - specifically Main St. and Delaware Ave. If there are signals at the crosswalks the traffic would move more smoothly and it would be safer for the students who often prefer to text rather than look both ways while crossing the street." "I support the Wawa being built with gas pumps." 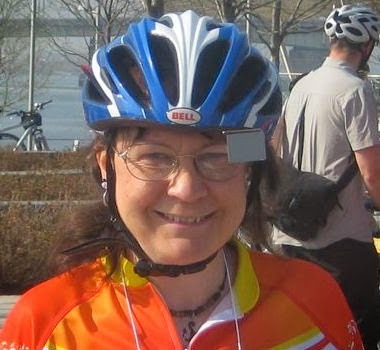 "This [bicycling] is very important to our city." 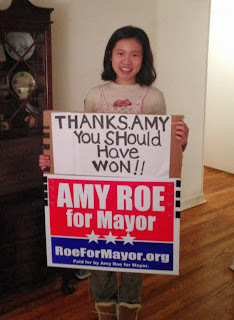 Whatever/whoever you decide, if you live in the Newark, it is important you go out and VOTE on November 26th. Vote for bicycling and quality of life in Newark, and to make our streets safe and usable for everyone. 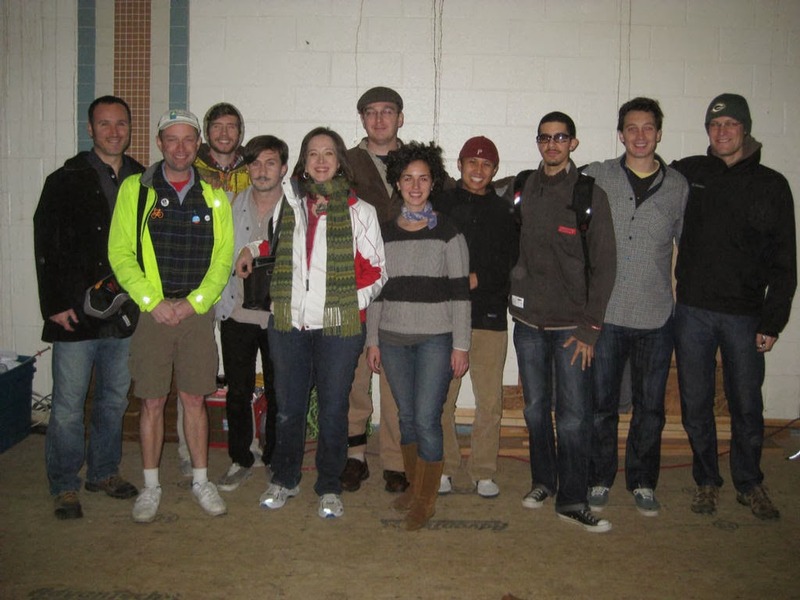 Amy Roe, fifth from the left, is one of the founders of the Newark Bike Project in 2011. 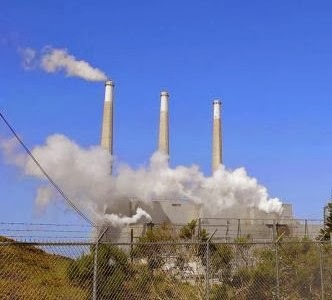 Clean, renewable energy. Sustainability. Enabling cleaner, greener commerce. These are the first words that greet visitors to the Bloom Energy website. 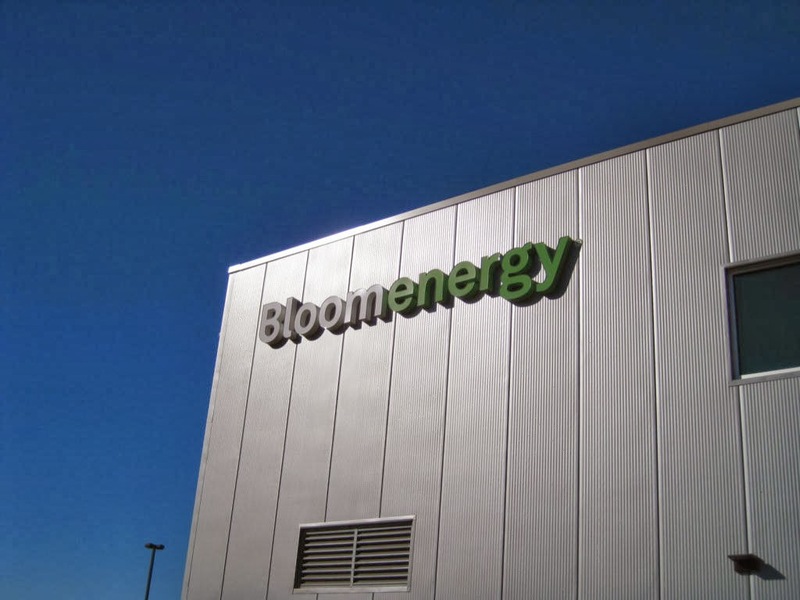 Bloom Energy, headquartered in Sunnyvale, CA., is a provider of breakthrough solid oxide fuel cell technology generating clean, highly-efficient onsite power from multiple fuel sources. 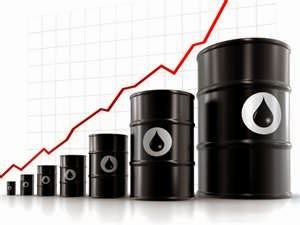 Founded in 2001 with a mission to make clean, reliable energy affordable for everyone in the world, Bloom Energy Servers are currently producing power for several Fortune 500 companies. The Bloom Energy Manufacturing Center will become the anchor tenant of the new University of Delaware Science, Technology and Advanced Research Campus, and many citizens, both from the community and local government, were anxious to welcome them. At their groundbreaking in April, 2012, University of Delaware President Patrick Harker welcomed Bloom, saying "We're thrilled to welcome Bloom Energy to UD's Science, Technology and Advanced Research Campus. From the beginning, we've envisioned this campus as a place where the most creative minds in academia and industry come together to solve the world's most urgent problems. 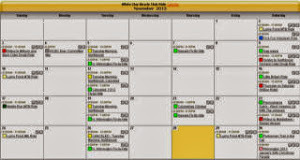 This vision is being actualized today." 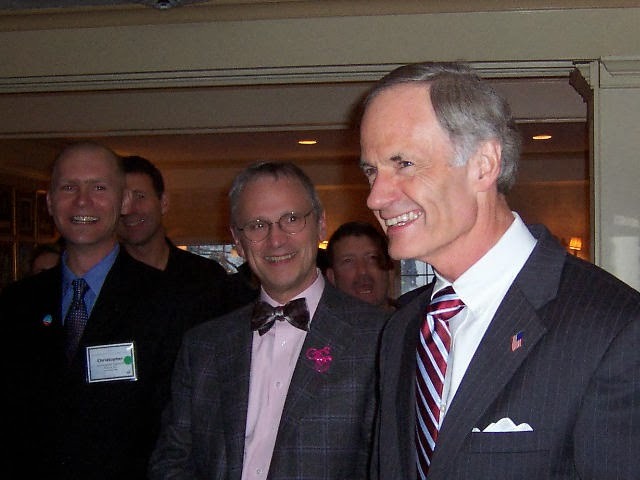 Harker went on to say "We look forward to engaging with Bloom in innovative research, academic and community partnerships - partnerships that benefit the state and its people and revolutionize America's clean energy future." 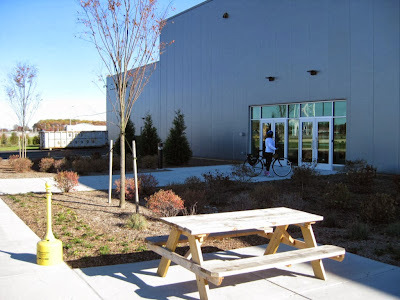 With such high expectations, you would think that the Newark facility would have been designed to welcome bicyclists and pedestrians safely and efficiently. 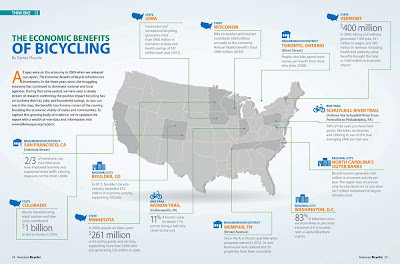 After all, people who use their bicycles for transportation, and those who get to their destinations on foot, or who use public transportation, are the very models of sustainable, responsible living. Unfortunately, a recent visit to the Bloom Energy campus in Newark proved to us that Bloom Energy did not consider including people who bicycle to the campus, or walk there, in their campus infrastructure. And to us, that is unacceptable. 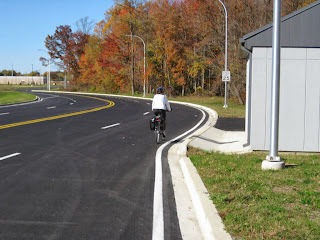 Access from Christina Parkway requires the crossing of a multi-lane arterial road with no actuated crosswalk facility. Though the site road has medium shoulders further in, there are no bike lane markings, share the road signs, or other features that would encourage bicycle commuting to the campus. 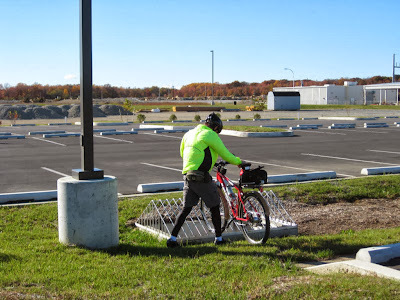 No bicycle parking anywhere on the property. Not a very inviting prospect during rush hour traffic. 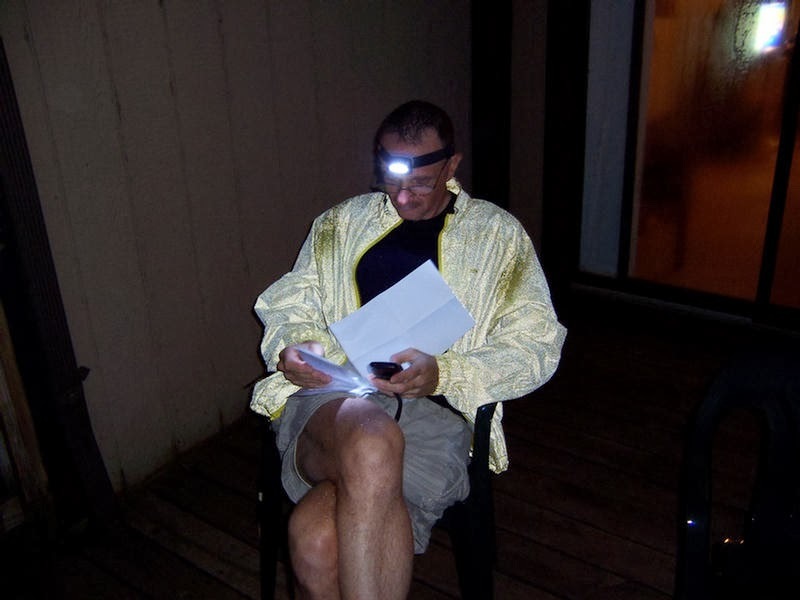 Several e-mails to the contact information for Bloom Energy via their website were ignored. 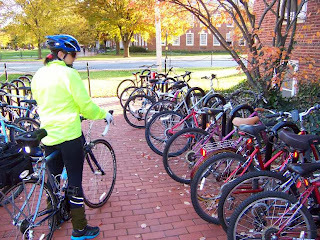 Although several local University sources that we contacted were quick to reply and tried to help, unfortunately they had no answers for us regarding the omission of bicycle facilities on the Bloom campus. We believe that a clean energy future such as UD President Harker envisions starts here at home, in our community, with responsibly planned transportation infrastructure. 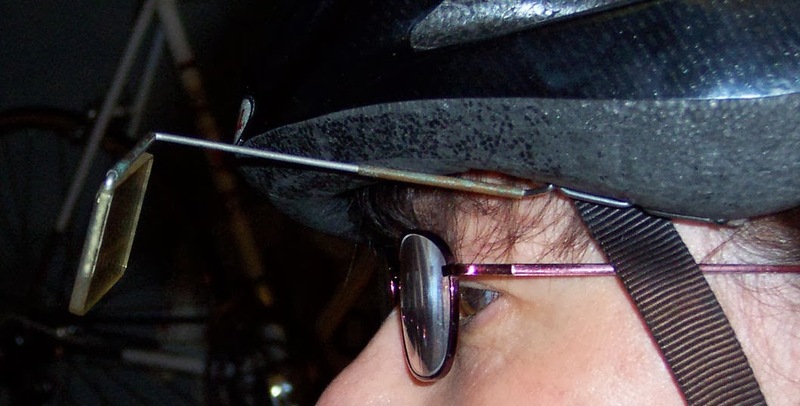 This enables those who choose cycling and walking to do so safely and easily. That this was overlooked is a shameful omission on the part of Bloom Energy's facility planners. It should have been automatic for them to include bicycling and pedestrian infrastructure in their planning. By not doing so, they have contradicted their own good intentions, and cast doubt upon their beliefs about sustainability, and living greener. Encouraging employees to bike to work, and creating safe and inviting facilities for them to do so, would have been a better step in the right direction. Although we were fooled by it from a distance, no - this wasn't a bike rack. A picnic table, and facilities for smokers - but no rack for bicyclists to park against. Poster's note: Though very disappointing given UD's talk about sustainability (greenwashing) and Bloom's stated mission, this is not unexpected. 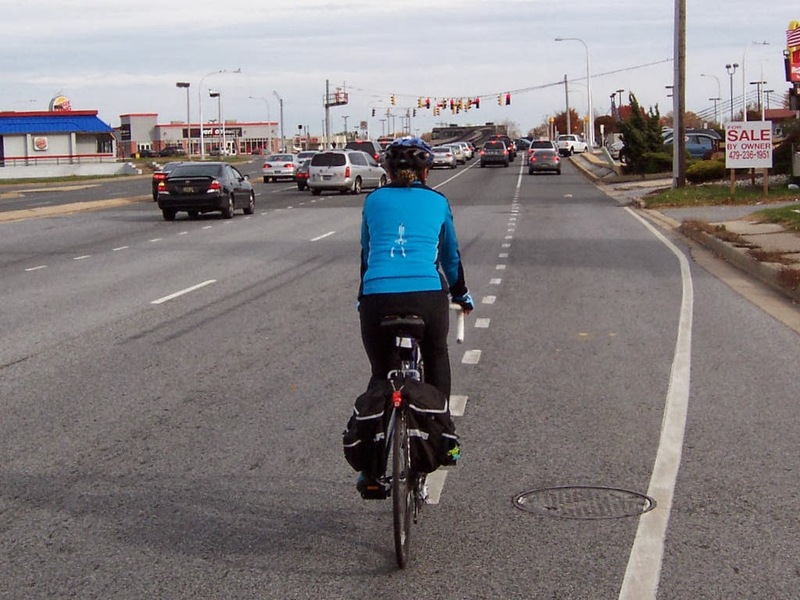 How many companies in Delaware actually encourage bicycle commuting? Mario Nappa takes the Lavoisier Medal for Technical Achievement. 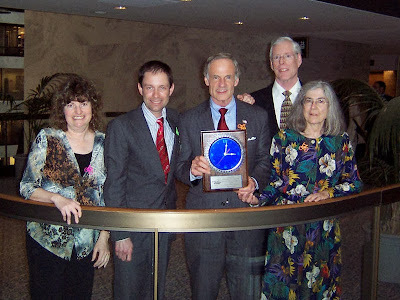 A super award for the Superman of bicycling in Delaware. From DuPont's Newsletter -- Mario Nappa, DuPont Fellow, DuPont Chemicals & Fluoroproducts, is recognized for his exceptional contributions in fluorine chemistry at DuPont. During his 32 year career at DuPont, Dr. Nappa has been responsible for the development of synthetic schemes for fluorinated molecules of business interest and has scaled those schemes for customer sampling and commercialization. A key person in the successful development of many of the major fluorochemical processes commercialized in the last two decades, Dr. Nappa has been the lead chemist in process development for the commercialization phase of the scientific breakthrough which is currently sold under the name Opteon™ YF- refrigerant HFO-1234yf. He has identified new classes of fluorocarbons throughout his career at DuPont and has helped guide and address our business strategies, making a significant financial impact for DuPont. Dr. Nappa is the author of 20 publications and inventor or co-inventor of 114 issued U.S. patents with several others in various stages of prosecution. His commitment and vision to aggressively build and protect DuPont’s intellectual property in this area continues to strengthen our IP estate in fluorochemicals. Well-recognized for his leadership throughout the industry, Dr. Nappa shares his passion for science with others through collaboration and mentorship. He has led an initiative to make step change improvements in safety and operating productivity for the fluorochemical R&D labs at DuPont and mentors scientists through a range of activities. Poster's note: I have been riding with Mario since 1997 when I first moved to the area and joined the White Clay Bicycle Club. 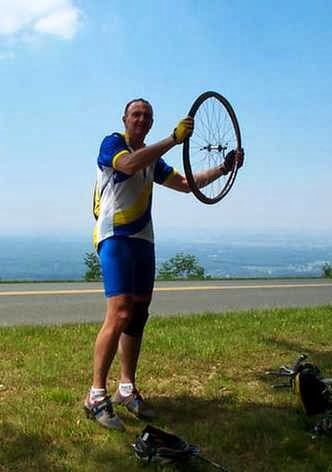 Not only is Mario a super achiever at DuPont, but in Delaware's bicycling community as well. 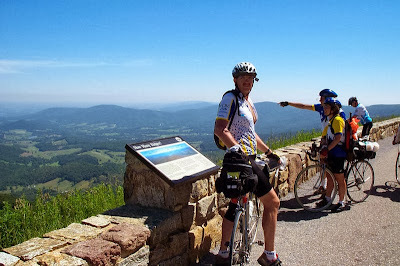 This includes leading rides and tours, directing events, serving as President of WCBC, founding Bike Delaware, mastering the latest electronic technologies available to bicyclists, and the list goes on. A huge tip of the helmet goes to Super Mario! 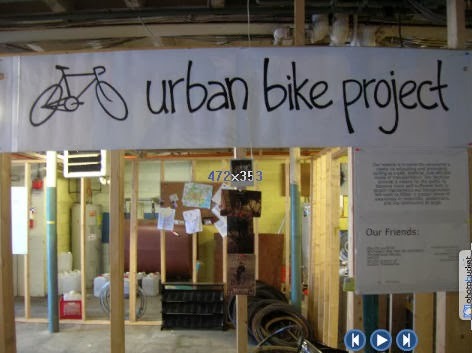 Folks often times visit the Newark Bike Project after their bike is stolen. We heard a story recently about bike thieves taking the bus from Wilmington, who tried to rob 3 bikes in front of the Newark Library. When they were refused entry back on, the thieves became enraged and combative. Long story short, the bus driver called 911 resulting in the arrest of 1 adult and 2 juveniles, and the return of the bikes. A huge round of kudos to that bus driver. If only we could all be that lucky. This article from Baltimore Bike Party says it all when it comes to correctly locking your bike. Buy a u-lock. Just do it. No, no, no. I don’t want to hear your reasons or your excuses. You want to keep your bike? Buy a u-lock, a good one. Save your pennies, get a paper route, whatever. Buy a u-lock. As said above, the primary tool of bike thieves in our city is a pair of bolt cutters. Bolt cutters will make quick work of ANY cable lock, or unhardened steel chain (like you can buy from a hardware store). Seriously, like 5 seconds, if they fumble with it. Good u-locks are made from a hardened steel that is much more resistant to cutting. Keep your bike somewhere visible. If you are grabbing coffee or lunch, lock it where you can watch it from the window. If that’s not an option, lock it where it has the most eyes on it. Lock your bike to something sturdy. Make sure the fence, pole, or other object is securely fastened to the ground. Also, make sure that what you are locking to is AS STRONG OR STRONGER than your lock. 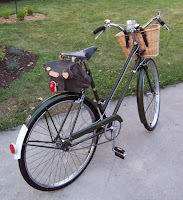 Locking skewers are an option for keeping both wheels secure. There are a number of kinds with various methods of locking, but most all of them work well at deterring theft. 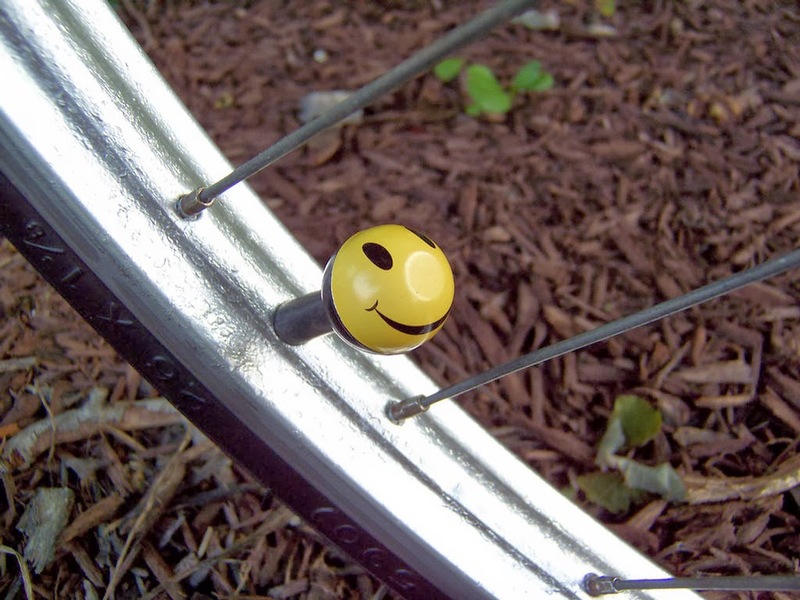 They replace your quick release skewers and prevent you from having to carry a second lock. If you buy a cable lock to go with your u-lock (many companies sell them together in packages now) you can leave your front wheel in place and simply thread the cable through the front wheel, then back through itself and lock the other end inside your u-lock. 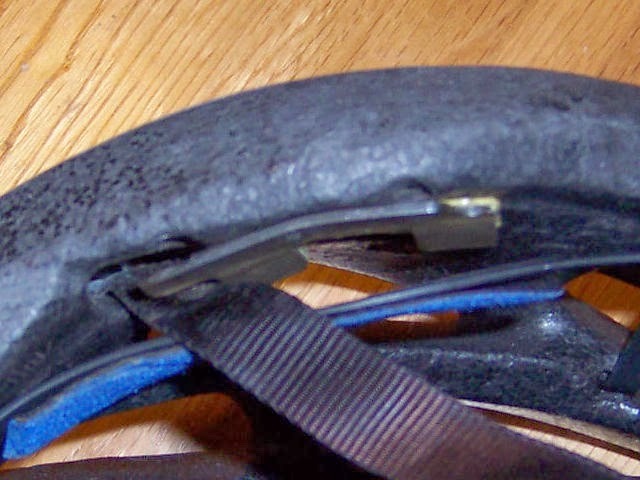 Very few thieves would bother to cut a cable just for your front wheel, but it is possible. Read the entire article HERE, including lots of photos and additional tips. A shared goal for the Delaware Bicycle Council, Bike Delaware? 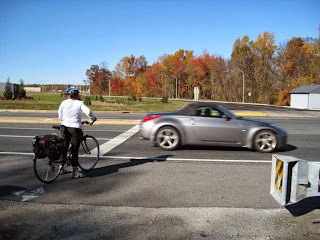 The Delaware Bicycle Council and Bike Delaware have agreed to join forces to support efforts to establish a bike and pedestrian connection to the Christiana Mall and the DART park ‘n ride, and to ensure that the connection is established within the next year. This connection will also provide a way to cross I95. Among the casualties of new construction at the Mall and along I95 was an informal "goat path" connector between the Cavalier Country Club Apartment complex adjacent to the Mall and the DART park-n-ride, which has since been relocated. This dirt path had been the only safe way to access the Mall by bike or by foot, and the only viable way at all to access it from the north. 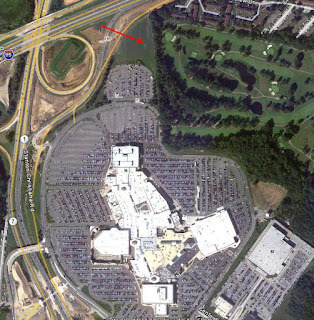 Christiana Mall from the air, accessible only by car or bus. blocking the way for dozens of bike/ped commuters. Most of us who walk or bike by choice can either avoid the Mall or drive to it, unfortunate as it is in the 21st century to be forced into either option. But a segment of our population does not have the luxury of either driving to the Mall or avoiding it altogether. These people include Mall employees and park-n-ride transit users who reside in the area. In addition, the Mall is a flagship destination in northern Delaware. 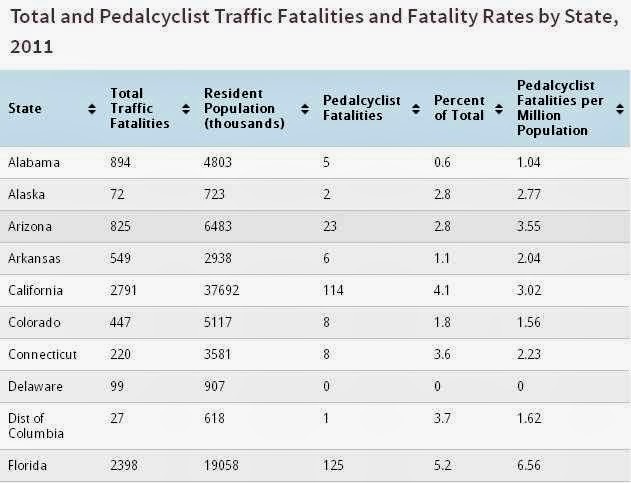 It is unacceptable that in a state ranked by the LAB as the fifth most bike friendly in the nation, we cannot get cyclists and pedestrians safely to such an important destination. 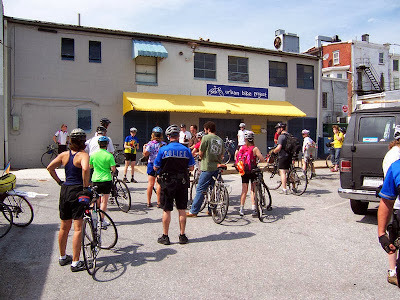 It is hoped that by joining forces, Bike Delaware and the Delaware Bicycle Council can change this unfortunate situation and help our wonderful state to continue to make progress towards becoming truly bike friendly. Poster's note: The two organizations have had few such opportunities, given differing views on bicycle advocacy. 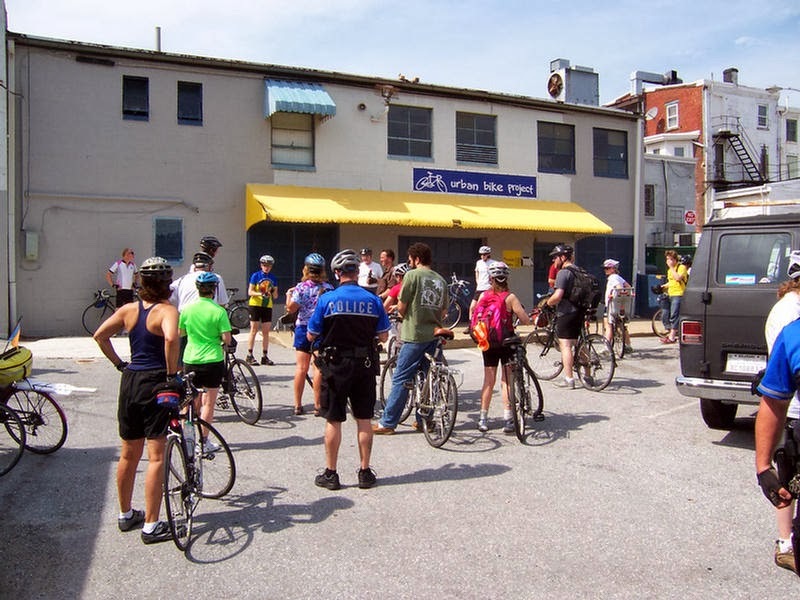 Bike Delaware's prime focus has been on segregated bicycle facilities, while the Delaware Bicycle Council takes the holistic, all-inclusive approach as seen in the League of American Bicyclists 5 Es. Because she has an eye on our safety and gets things done. 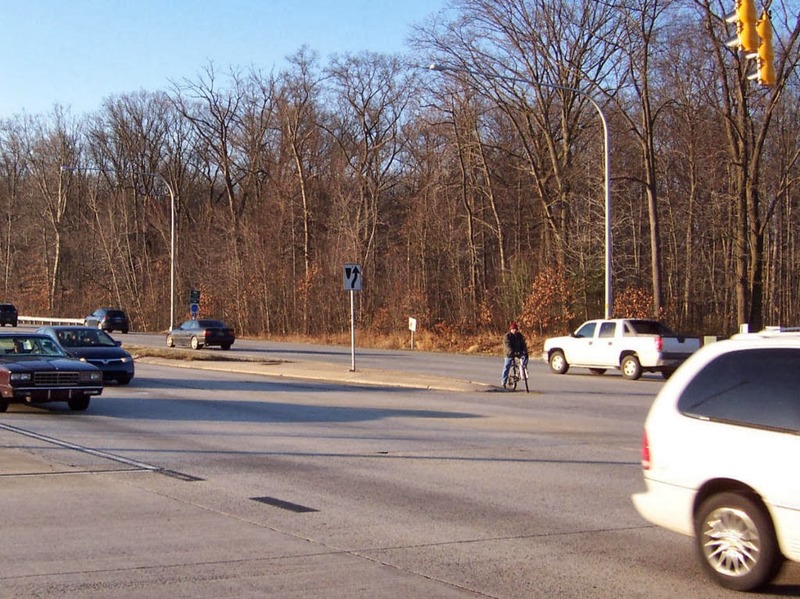 On November 10th, I contacted Senator Peterson concerning bicycle and pedestrian safety, crossing Route 273 at Red Mill Road in Ogletown. I live about a half mile from this arterial intersection, which hasn't changed much since the highway was built almost 20 years ago. The following email exchange took place between the Senator, myself, and DelDOT. Maybe you can help. 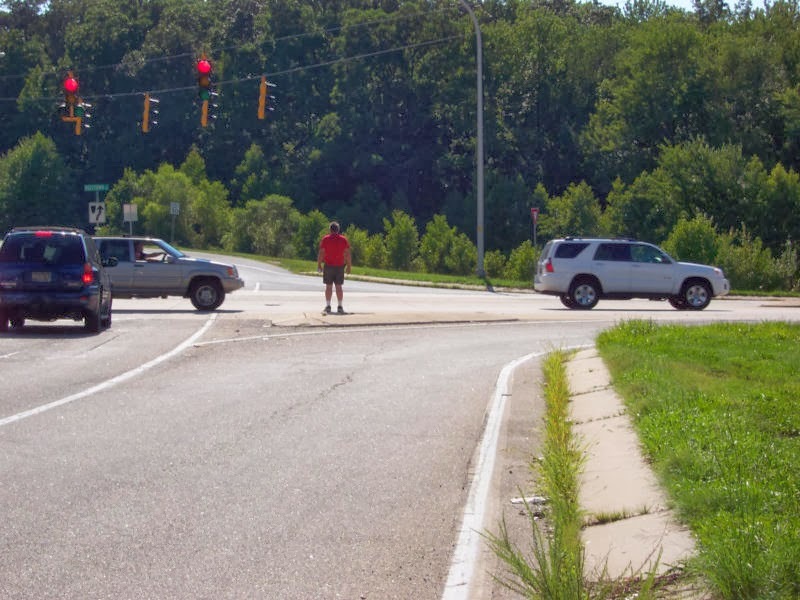 I have been advocating for pedestrian/bicycle facilities at the Rt.273/Red Mill intersection for close to 10 years, with little to show for it. I see folks all the time crossing there on foot, and it is my usual way home on the bike. It is very dangerous, especially since the green light phase coming from Old Ogletown is so short, one can't make it through on time without running. 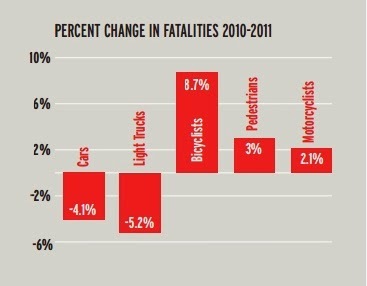 And lately it hasn't even been detecting bikes. Twice I asked DelDOT, and they had someone do counts - once 8 years ago and once recently - which apparently didn't produce enough people. Yet it seems common that I see folks out there. I will attach a few photos I took at or immediately adjacent to where there should be a crosswalk. Let me know what, if anything you can do, or how I can better advocate for safety improvements at this location. It's a pretty straightforward intersection and should only be a matter of an upgrade or adding the proper facilities. Is there any way to make this intersection safer for pedestrians and bicyclists? There might not be a whole lot of pedestrians and bicyclists who try to navigate this intersection (probably because it would be life-threatening to do so) but it sure would be nice to make it less dangerous for those who must use it. Thank you for your email. This location is near the Newark to Wilmington Pathway Feasibility Study, so we can potentially look at it as part of that. However, there is not a plan for any specific bike/ped changes to this specific location because as you noted the bike/ped numbers don't indicate a need. Unfortunately, when SR 273 was "upgraded" to a quasi-limited access style road 20 years ago, multi-modal infrastructure was not a focus and not incorporated in the project. Also given the character of the road, we may not have wanted to encourage bike/ped traffic at that time, and I am sure the traffic has even gotten heavier since then. Unfortunately I don't think there is a whole lot DelDOT can do at this location. Mr. Warnock is welcome to write to Tom Meyer and request an explanation of the outcome of the recent traffic study....that may provide him with more information on DelDOT's position on this location. He is at 165 Brick Store Landing Road, Smyrna, DE 19977. Update on Rt. 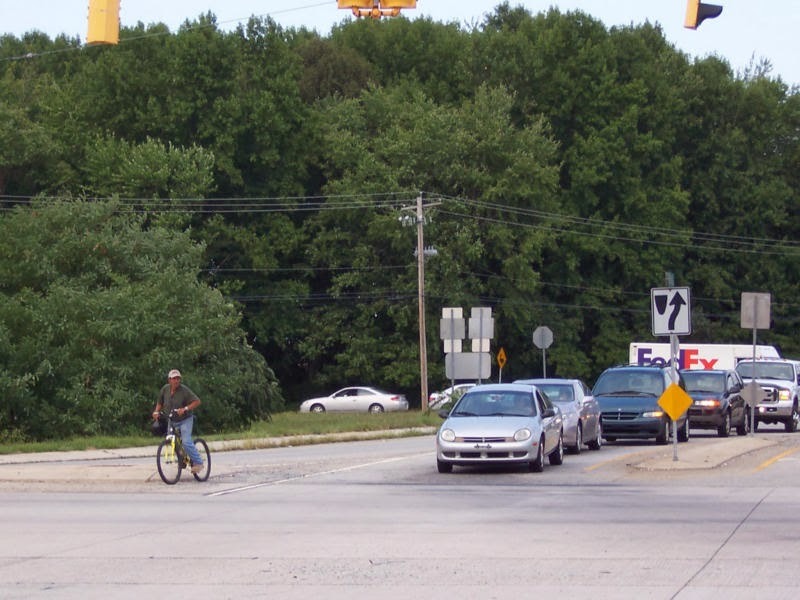 273/Red Mill Road Intersection…..Our TMC is dispatching a signal tech to "tune" the loop detectors along Old Ogletown Rd and Red Mill Rd for bicycle actuations. 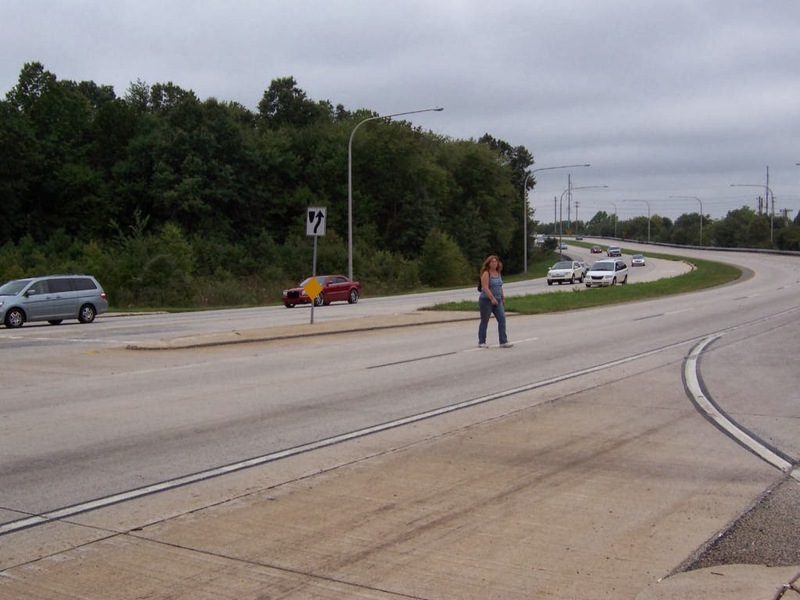 With respect to pedestrian safety and signal timing, there's an upcoming traffic system improvement project at this intersection that can include the installation of a signalized pedestrian crosswalk across SR 273. This project will likely begin this coming winter/spring. Additional signal timing adjustments are not recommended until the pedestrian signals and pushbuttons are installed. The above explains just why the residents of Senatorial District #9 are very fortunate to have Senator Peterson representing them. Studies conducted by DelDOT show that only a small number of pedestrians and cyclists are using this potentially dangerous intersection to help them get where they need to go. 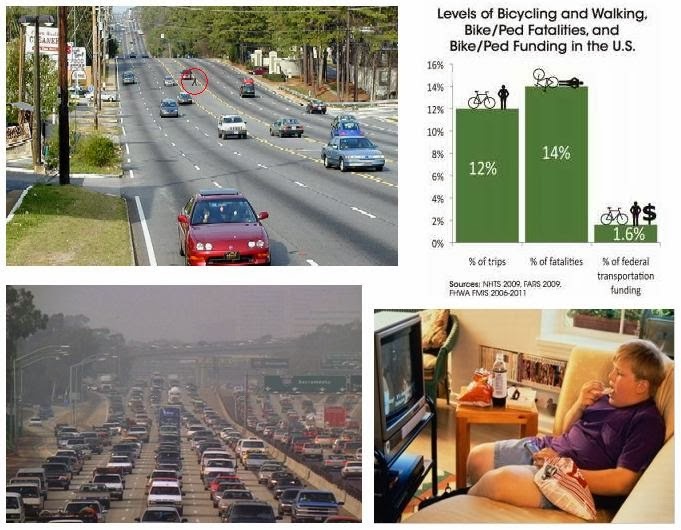 However, in our own experiences, and as shown in these photos, we know that folks cross this way by foot and bicycle often. Convincing the Senator of the urgency of the situation was unnecessary. She understands that even a handful of these vulnerable people are worthy of efforts to make them safer. To many people, existing dangerous crossings are the only options available. By helping to resolve this issue so quickly, Senator Peterson has proved once again how dedicated she is to the Constituents she serves, and to the people who travel through her district. On behalf of these people, we thank her! 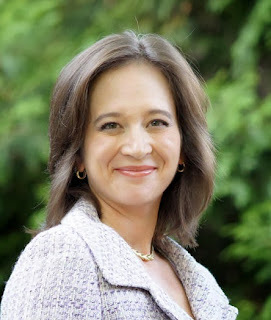 We also thank Tina Shockly for her investigative efforts on this issue. She took a problem off of the back burner and obtained information for us quickly. Not too long ago, we would have had less confidence in DelDOT's response to bicyclist and pedestrian needs in these circumstances. 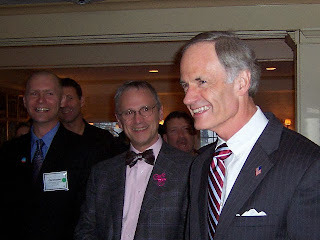 What a difference a few years have made, since the adoption of a Complete Streets policy, the election of a bicycle-friendly Governor, and the appointment of a Transportation Secretary who not only bikes, but has solid MPO (Metropolitan Planning Org) experience. Hopefully, these positives will remain permanent, and we see the election of many more Karen Petersons in the years to come!